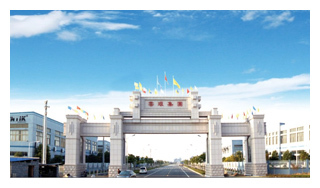 Ningbo Ningyang Electric CO.,LTD (FangHua Electronics Co., Ltd) was founded back in 1998 by a group of experienced engineers in power cord sector. Backed by more than 15 years of experience and dedication to our products, we have now established a solid reputation as power cords and connectors suppliers. With steady turnover growth and as part of our cooperation with our usual customers, we are now able to supply you directly from our China factory based in Zhejiang Ningbo. Our monthly production capacity has increased to exceed 100k pieces of power cords. We offer customers not only competitive prices and prompt delivery but also high quality products. Main products including: Rubber cables PVC Cables IEC60320 Plugs Euroean Power cord VDE America Power cord UL/cUL NEMA 1-15P NEMA 5-15P NEMA 6-15P NEMA 5-20P NEMA 6-20P NEMA 6-30P Hospital Power cord China Power cord CCC Australia Power cord SAA Argentina Power cord IRAM South African Power cord SABS Brazil Power cord UC UK Power cord BSI Italy Power cord IMQ Japan Power cord PSE Korea Power cord KS Swiss power cord SEV Israel power cord SII Denmark power cord DEMKO Indonesia Power cord SNI Industrial Plugs Cord sets Wiring Harness Terminals. A power cords, power cables, or mains lead is a cable that temporarily connects an appliance to the mains electricity supply via a wall socket or extension cord. The terms are generally used for cables using a power plug to connect to a single-phase alternating current power source at the local line voltage-(generally 100 to 240 volts and cables 300v to 750 volts, depending on the location and used). The terms power cable, mains lead, flex or kettle lead are also used. A lamp cord (lights system cable,also known as a zip cord) is a light-weight, ungrounded, single-insulated two-wire cord used for small loads such as a table or floor lamp. A cord set includes connectors molded to the cord at each end (see Appliance coupler). Cord sets are detachable from both the power supply and the electrical equipment, and one female, and consist of a flexible cord with electrical connectors at either end, one male. One end of the cord set is attached to a molded electrical plug and electrical cable; the other is typically a molded electrical receptacle to prevent the possibility of having an exposed live prong or pin which would cause electric shock. The female connector attaches to the piece of equipment or appliance while the male plug connects to the electrical receptacle or outlet.